For today's food challenge stock up on the following essentials: Balsamic vinegar, nuts, and plain yogurt. These particular ingredients make it a lot easier to meet your weight-loss goals. Balsamic vinegar adds a ton of flavor to veggies and salads and the protein in nuts will keep you satiated. Plain Greek yogurt is not only a good source of protein but it also makes a perfect base for dressings and dip or as an alternative to sour cream. For today's fitness challenge I want you to work in 30 minutes of cardiovascular exercise. You can do 30 minutes all at once or you can do 15 minutes in the morning and another 15 in the afternoon or evening. Whatever you choose, make it something you actually enjoy. It can be a brisk walk, running, swimming, an exercise class, kickboxing, whatever will be fun for you. 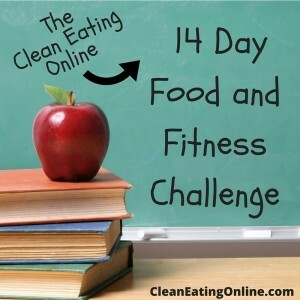 Help Us Spread the Word About Our 14 Day Challenge!